In order to get that V shaped torso that will make other men envious of you, you have to be dedicated and patient. There are some torso exercises, which will help you shape the muscles of your torso and get a broad backed lean look. Spot reduction or losing weight only in one part of the body will not work and you have to work on strengthening and toning of the whole body if you want a well shaped torso. A lean chest and stomach are the most important features of a well shaped torso and you need to follow a strict diet and exercise regimen in order to achieve this. These are very good cardiovascular exercises that will help you to lose extra fat and tone and strengthen the muscles of your entire body including the torso. These exercises are great at burning calories, which will flatten your chest and stomach. While doing these torso exercises make sure that you perform them till the time you sweat a great deal. You should perform these exercises for a minimum of 30 minutes and at least 5 times a week. These exercises are recommended by most of the physical trainers. This is also a cardiovascular exercise that helps to burn fat and get a lean torso. As with swimming and running you should perform this exercise rigorously till the time it makes you sweat. 30 minutes of cycling 5 times a week is the minimum required if you want to burn the extra fat accumulated on your chest and stomach. Cycling is one of the torso exercises that will also strengthen your legs along with making the rest of the body strong and supple. If you want to get a V shaped torso with bulging muscles, resistance training is an absolute must. You should perform exercises with weights at least two times in a week. The more days you dedicate to resistance training with the help of weights the better results you will get. You should perform free weight exercises, like squats and pull ups. These will surely strengthen your shoulders as well as upper back and help you get a lean and well toned torso. 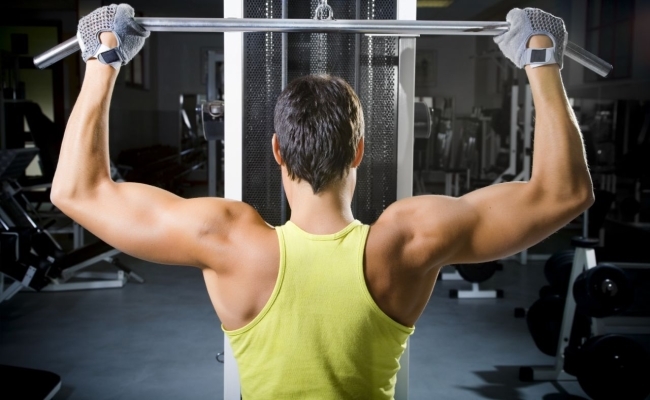 The back muscles will also become strong and prominent. Bench presses are also resistance training exercises, which are performed with weights. 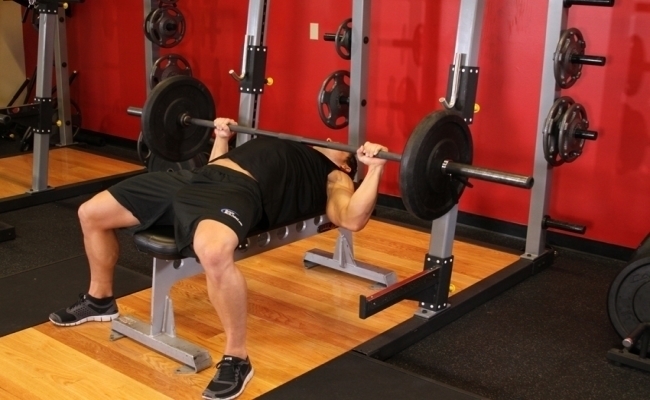 You lie on the bench designed for this exercise and lift weights with your hands applying pressure from your shoulders. You should take care to start with smaller weights and then gradually increase them. This is one of the torso exercises that will tone your back and torso a great deal and help you get a muscled and chiseled look. Regular abdominal workouts are necessary if you want a well shaped torso. These exercises will strengthen your core. Exercises, such as the plank and variations of it will strengthen you core as well as improve your posture. They will give you a good looking sucked in look and a powerful physique.